I’m lying in my bunk, on VIA Rail Canada’s One Canadian train passing through northern Ontario. The route ventures far north into the wilderness of the Canadian Shield, where there is no wifi or cell signal. While this fact might make your average millennial cringe, it is actually one of the blessings of the train. Without the constant connection of the world, it really feels like a vacation from the things that cause stress. The wireless void also forces you to focus on the company you are travelling with. This absence is not keenly felt after the first day and, in fact, you’ll notice conversation flourishing, flavours becoming bolder, and even sights becoming more beautiful. Late at night, I sneak into my girlfriend’s bed, the lower berth with the window, and lie awake under the northern Ontario sky, a hundred thousand constellations like suspended diamonds in the firmament. And I wonder how far we travel in the span of a dream, before dozing off myself, rocked to sleep but the gentle back-and-forth of the train. When day breaks, I wake her up. Groggy at first, she opens her eyes reluctantly, but all her early morning complaints stop as soon as she sees the incredible sunrise outside. The window has transformed into a Turner painting. A luminous mist lying low on the still waters conceals the horizon. It’s a blank page with the jagged spikes of pine trees jutting out of the nebulous whiteness, hinting at a deep perspective. The entire window is a pink sunrise pushing through the silvery clouds, reflecting vaguely in the water below the mist; I recognise the pastels of an earlier age. Views like this you can only see on the train. In fact, the whole VIA Rail Canada experience has the feel of a romantic Industrial Era voyage with all the trimmings of our contemporary society. 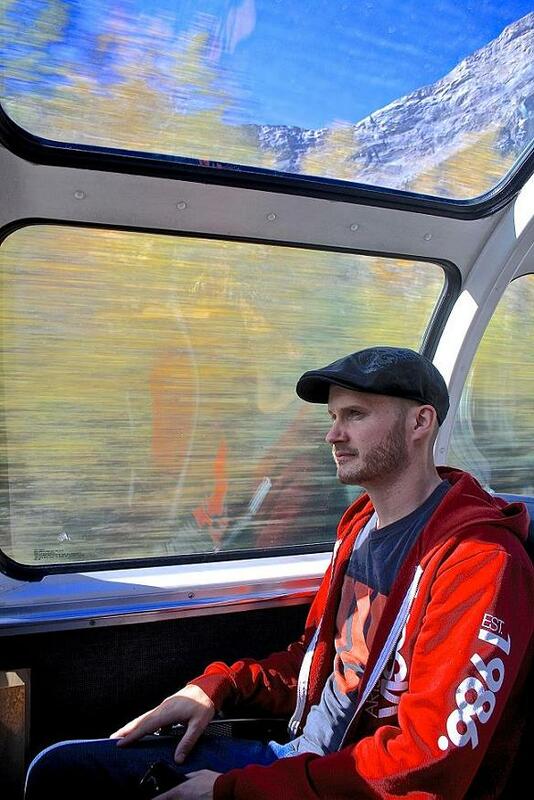 At $699, the VIA Rail Pass, is a convenient way to see Canada the way it was meant to be seen. It allows seven stops in a 30 day period, and even has reduced prices for students and seniors. The Trans-Canada railroad was the dream that awoke the country, 130 years ago yesterday. John A. McDonald’s drive to unite the fractured regions of Canada could only be realised because, in building the railway, he shrank the vast territory of the Dominion. The Transcontinental came with the extra benefit of a newly laid telegraph line parallel to the iron tracks, further connecting an isolated populace. It was perhaps the first small step that would eventually lead to the globalized world. The legacy of the railway is still deeply felt today, but perhaps the most interesting facet of travelling cross-country by train is that it is a window back in time. I’ve always been a railroad buff, but crossing our vast country by rail is a pleasure everyone has to experience at least once. Not only will this trip bring you closer to your travel companion, but it will also foster an intimacy with the vast and beautiful nature of Canada. While relaxing in the dome car, staring out at the incredible landscapes, I couldn’t help but identify with the immense Canadian wilderness. The gentle rocking motion combined with the forever stare into the distant horizon of the prairies, or the humbling sensation of traversing the enormous, jagged Rockies. The journey with a Rail Pass is one of exploration, as well as one of understanding the shrinking distances between places and people. 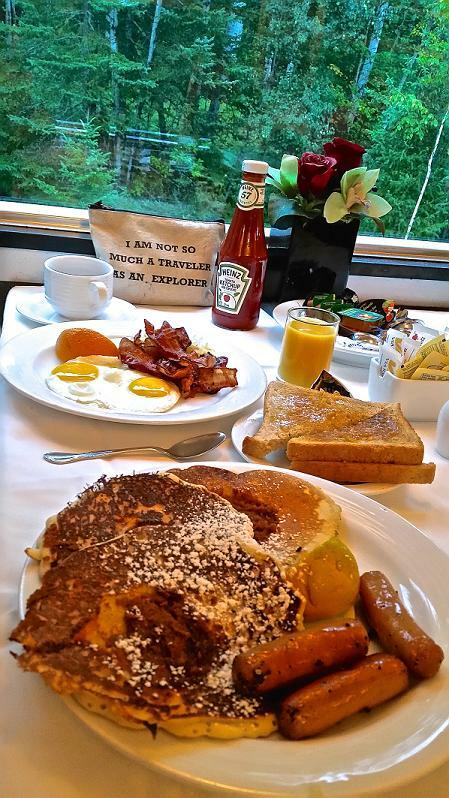 It’s inevitable that you will come to cherish the conversations you have with your companion, and even those new friends you will meet in the dining car. It is, without a doubt, the most authentic way to see Canada from coast to coast to coast, and with seven stops, you’ll never be without an alluring destination. For the usual two hour stop at Winnipeg, VIA Rail Canada organizes a convenient tour to some landmarks in the city as well as Assiniboine National Park. This is a wonderful way of seeing a bit of Winnipeg and making the best of a layover. If you are more inclined to do your own thing, there is an extensive market next to the station, where you can get a variety of souvenirs and meals, or just refill your snacks. 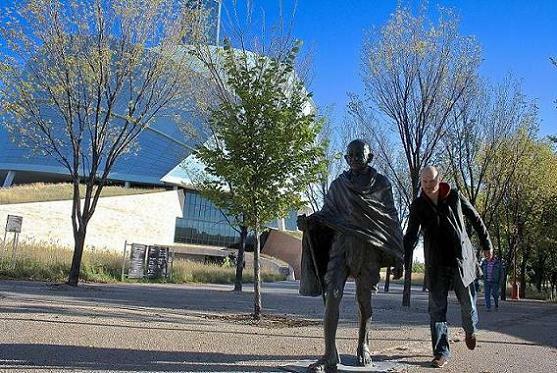 Winnipeg’s recently finished Human Rights Museum, is a towering achievement in architecture, and a great learning experience. There is also the Railway Museum tucked away inside Winnipeg Station. As a rail buff, I found this fascinating. You can get a real hands-on look at some of the first steam engines that helped build the tracks through the mountains, as well as watch a scale model of the One Canadian cruise over tall wooden bridges. Towns like Jasper exist solely because of the Transcontinental Railroad. This petite village nestled between mountains has the quaint charm of a frontier town. It is the central jumping-off point for excursions into the National Park. I definitely recommend stopping here for a few days. You’re almost guaranteed to see animals. While we were there we saw big horned sheep, mountain goats, elk, black bears, and a variety of stuffed heads in the Athabasca Inn, one of the town’s more interesting watering holes. However, Jasper is not just famous for animals, it is also a Dark Sky Preserve, meaning you will catch some of the most phenomenal views of the milky way. There is a makeshift planetarium, which offers guided star viewing tours. And if you’re lucky — like we were — you might even see the Aurora Borealis! VIA Rail has a neat program called “Artist on Board”, which places a musician on the train. On our train it was Madeline Tasquin, a sweet Quebeçoise girl, whose whimsical folksy style seemed to appeal to all members of the audience, from kids to adults. Since this is a bilingual service, her songs naturally slipped back and forth from English into French. She even rallied the polylingual audience by asking them to whistle together, breaking the barrier of language and uniting travellers from all over the world in birdsong. These artists can be found performing in the stations whenever the train stops long enough for riders to disembark. One of the most wonderful experiences is sitting in the dome car when you pass a grandiose natural wonder like a sublime waterfall, or immense valley. Some crew members will come up there to explain intricate historic or geographic details, which are not mentioned over the PA. As we were crossing from Jasper to Vancouver, Joel Dione, a jovial VIA staff member, entered the dome car, holding up a ten-dollar bill, showing the One Canadian, the very same train we were on, passing through the exact same valley shown on the currency. Detailed attention like this reminded me of the quality service you get on the train. I can clearly say that without a doubt, the single best experience on the VIA train was the dining car. The quality of the food just kept getting better and better. I became surprised when each meal just kept topping the last one. In fact, I had better meals on the train than I did at the fanciest restaurant in any city I’ve ever visited. The chef plans the meals so that local ingredients are used to make these delicious meals from the regions you pass through. So you might eat Alberta beef near Edmonton, but elk when you go through the mountains, or salmon as you approach Vancouver. For example, I really loved the absolutely mouthwatering french toast stuffed with cheesecake filling, and wild berry compote — nice variation on a breakfast standard. These meals seemed to act as anchor points for your daily routine, and in a very Pavlovian way, I became extremely excited before every trip to the dining car. The meals are truly superb, and are not to miss. I imagine that in 1885 when Donald Smith nailed in the last spike, thereby completing the transcontinental railway that would become the symbol of national unity, a traveller would come to understand that all the great natural wonders of Canada form a vast continent made stronger in solidarity. This same sentiment draws us together in our relationships, and fuels our admiration for life. Combine this with the incredibly delicious meals served in the dining car, and you will find a trip on VIA Rail across Canada to be a serene journey absent the usual stress caused by our high-tech existence.